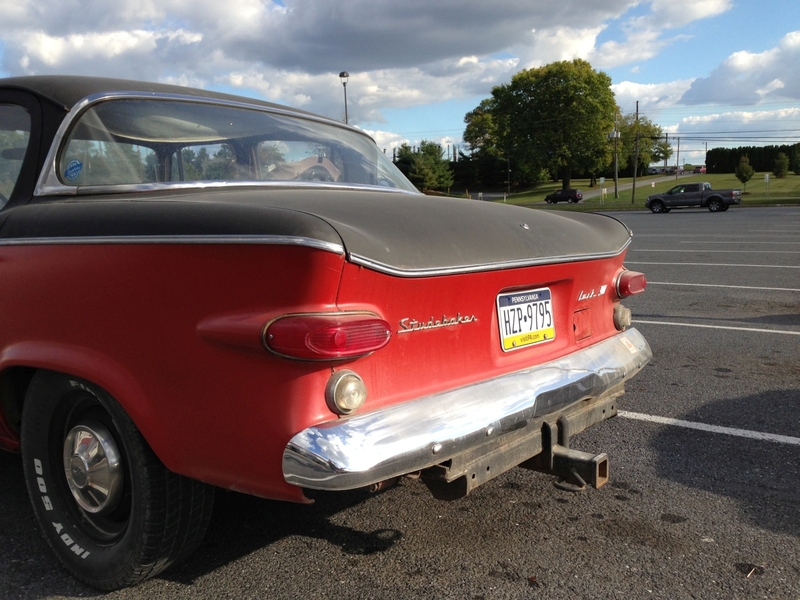 By pure coincidence, and following hard on the heels of Paul Niedermeyer’s speculations on a hot-rodded ’59 Studebaker Lark, here’s an actual one, photographed by a good friend in a Mount Joy, PA parking lot in 2013. OK, so it’s a Lark VIII four-door sedan rather than a coupe, but whatever. The roman numeral clearly means either that it originally came with the 259 CID V8, putting out somewhere between 180 and 195 HP, or it was an unremarked participant in the eighth Super Bowl. Guess we’ll go with the former. I’m not much for the primertastic flame job, and there’s some lower-body rust-through here and there, but at least all the exterior trim remains present and intact. I’m forever a sucker for dog-dish wheel covers, which appear to be original, and the exhaust venting ahead of the rear wheels is kind of sweet, even if it only vents to one side, as seems the case. The biggest surprise, however, is at the rear: that’s one serious tow hitch. The mind boggles, wondering what this thing might tow around. A rat-rodded Hawk or Avanti? Who knows? I like it and presuming it has the V8 motor you could tow pretty much anything that takes your fancy. Probably had to move the exhaust because of the beefy hitch assembly. Great find. I quite like that! The two-toning helps bring down the visual height of the design, plus I like the red steelie in the black area and black in the red area. 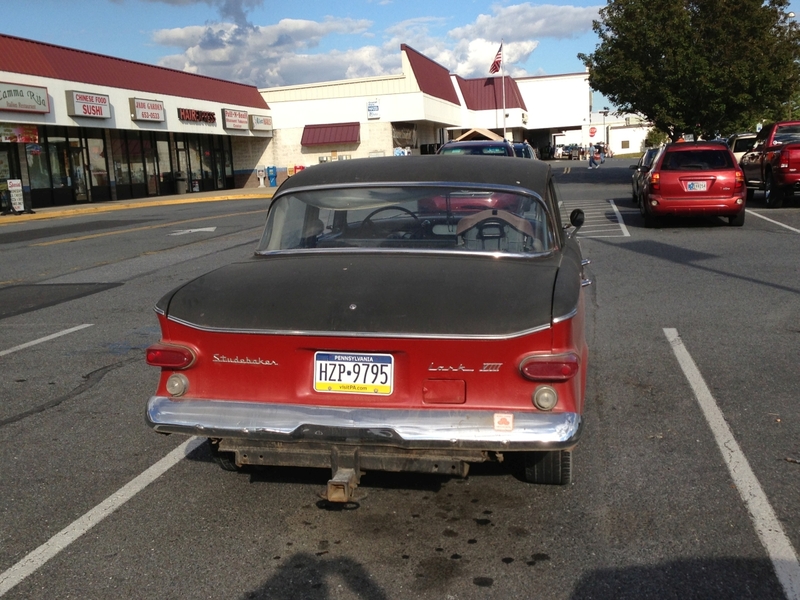 Very cool old Lark. Might still look good after he rotates the tires! I plainly need something like this. For my commute. I’m practical like that. 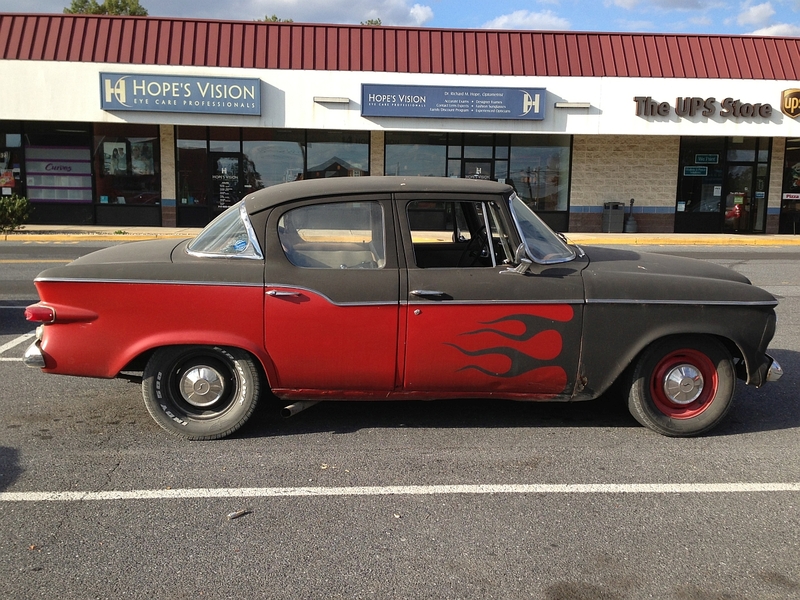 Seriously, the 59-60 Lark would be a really cool “classic” car to have for fun. The 259 V8 with a 3 speed overdrive would be perfect. I could do without the flat black paint, though. 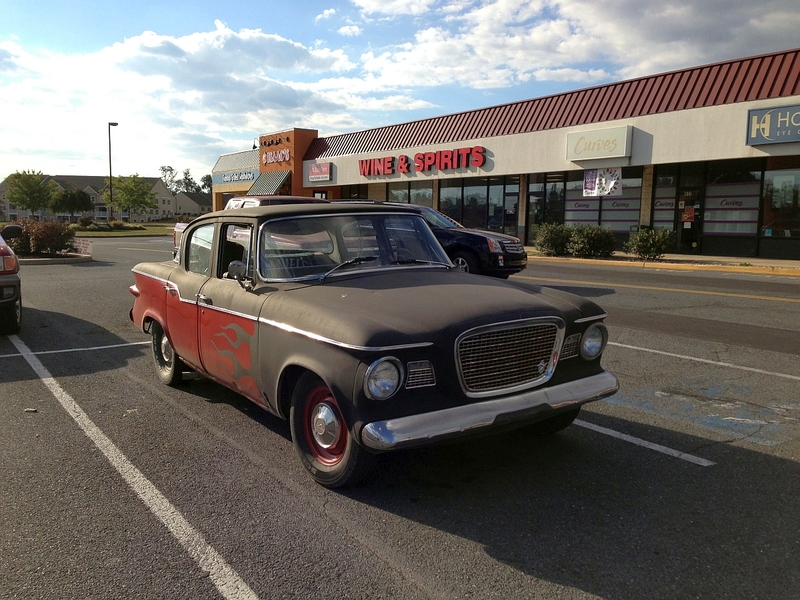 Make mine either a cool period-correct color like aqua with matching interior, or gloss black with a red interior….and fix the droopy headliner. Nice to see a Lark still soldiering on decades later ! . Sure is a good catch and PA sure has some nice and/or quirky names.